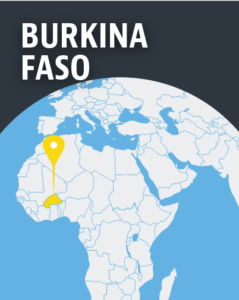 A Burkina Faso pastor and seven other Christians reportedly released by their kidnappers one month ago are in fact still in captivity, World Watch Monitor has been told by the pastor’s eldest son. 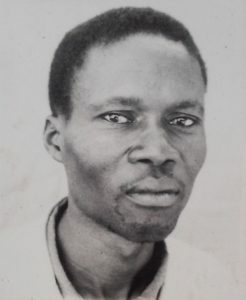 Pastor Pierre Boéna was kidnapped by armed men on 3 June – alongside his younger son, daughter-in-law, two grandsons, a member of his church and her two twin daughters – in the village of Bilhoré, in northern Soum province, near the Mali border. Four days later, various local media, quoting official government and church sources, reported that the eight hostages had all been released. World Watch Monitor, quoting local sources including the well-established private radio station Omega (whose founder is the respected former journalist and current Foreign Affairs Minister Alpha Barry), also reported the information. However, as Christians in the West African country waited for pictures of the released hostages in the following days, they never came. Now, the eldest son of the kidnapped pastor, Baowend-Som Boéna, has confirmed to World Watch Monitor that the hostages are yet to be reunited with their families. He recalled the circumstances of the false announcement, which left his family confused, with lots of unanswered questions. “I was away, in the northern city of Ouahigouya, when I heard the news of the release of my father on 7 June,” he recalled. “I then travelled to Ouagadougou [the capital], with the aim of meeting them. The church leader also reportedly told him that the hostages would be reunited with their families as soon as a debriefing and psychological assessment had been carried out by the authorities. But over time, the families’ hope of being reunited with their loved ones vanished. Moreover, the government didn’t issue any statement confirming or denying the earlier reports about the release of the hostages. It was against this backdrop that, nine days after their reported release, Baowend-Som Boéna received a call from the kidnappers. Early reports suggested that the kidnappers were believed to be members of a Fulani militia active along the Mali and Burkina Faso border. According to the pastor’s son, the kidnappers had initially thought his father was a government official. Then, having discovered that he was in fact a church minister, they told him he must convert to Islam if he wanted to regain his freedom. They also reportedly wanted the Assemblies of God to pay a ransom for his release. “When I begged the kidnapper to release my father, he said that all depends on his commanders,” Baowend-Som Boéna said. The pastor’s son also said that the kidnappers have been in touch on a regular basis and have allowed the other hostages to contact their relatives. During his last telephone call with his father’s kidnappers, on 30 June, they confirmed that “the hostages are in good health, and they have no intention to harm them”.